Published April 4, 2016 at 1806 × 1195 in Portfolio. The main challenge for all the Nestle brands was to create a premium image to re-introduce older products, as well as new products, to the “from scratch” baking trend. 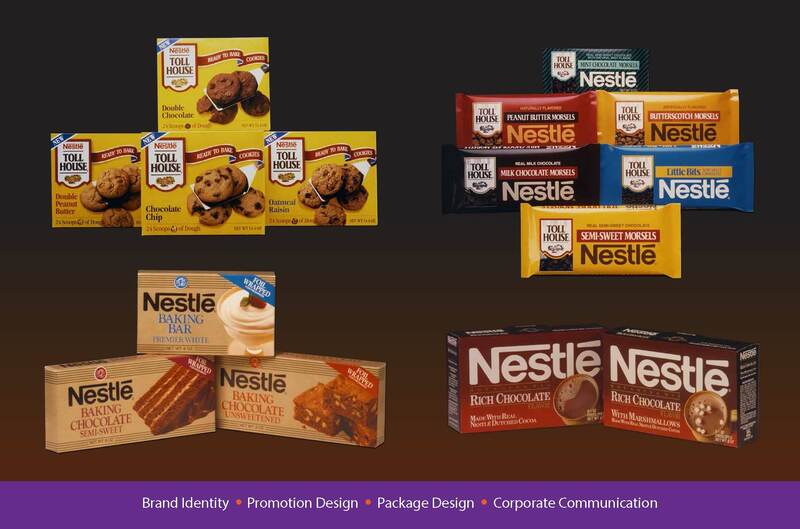 Current and new products were redesigned to play-up the Nestle heritage, ingredient quality, and ease of use. This made bakers feel better about selecting Nestle over their competitors. Introduction of the redesigned products was a success, which resulted in overall increase in sales across the Nestle product lines. Nestle continued to purchase smaller, well-known brands, roll them into their candy lines, and continue this formula. © 2016 Handler Design Group Inc. All rights reserved.